As a trusted Manufacturer and Supplier, we offer high-performance Single Zone Dry Bath Incubator. It features micro controller based program, timer up to 99 minutes and interchangeable blocks. The temperature of our Single Zone Dry Bath Incubator is up to 105ºC. The manufacturing of our incubator is done under the guidance of our experts and thus free from flaws. 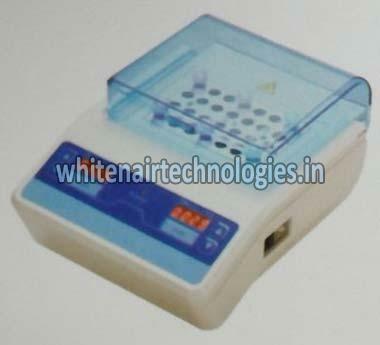 We offer Single Zone Dry Bath Incubator at reasonable price.